Following the announcement this morning that Tom Holland had nabbed the coveted superhero role, Charlie Rowe took to his personal Twitter account to send out a message about the news. It's pretty clear that he's upset - as anyone would be after coming so close to a big achievement and falling short - but he seems to be taking it in stride, and did the right thing concession wise by congratulating his opponent. What's more, he did so by showing his own deep roots as a Spider-Man fan. Since it was announced back in February that Sony had made a deal with Marvel to bring Spider-Man to the Marvel Cinematic Universe, many names were thrown around as being possible candidates for the job. Rowe was one member of an elite list of young stars that also included the aforementioned Tom Holland, Asa Butterfield, Judah Lewis, Matthew Lintz, and Charlie Plummer. After Butterfield dropped out of contention, Rowe found himself rising to the top of the frontrunner list along with Holland. As reported earlier, Holland and Rowe were the only two actors who wound up screentesting twice for the part because Marvel and Sony couldn't make a decision. After this final round, the studios decided to officially go with Holland - though the exact reasons for their choice of one over the other aren't entirely clear at this stage. 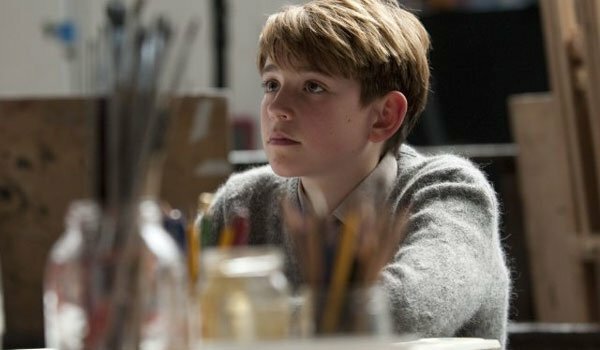 For those that aren't familiar with him, Charlie Rowe is a 19-year-old actor from England who made his big screen debut in Chris Weitz's 2007 adaptation of The Golden Compass. After that he starred in Richard Curtis' Pirate Radio, and - funny enough - played a younger version of Andrew Garfield's character in Mark Romanek's Never Let Me Go. Most recently he had a recurring role on the short-lived hospital-set comedy Red Band Society (which was cancelled after completing its first season earlier this year). Though it is a loss, it's nice that Rowe is handling the situation in a classy way. And who knows? If Marvel was that impressed with his audition as Spider-Man, it's entirely possible that they could throw a role his way sometime further down the line.